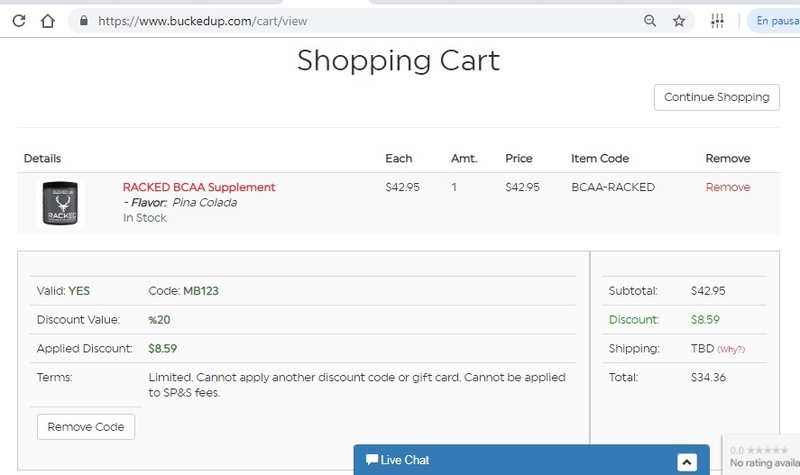 Liz Saloney This great code is still working, use this code during checkout and get 20% Off Any Order at Bucked Up. 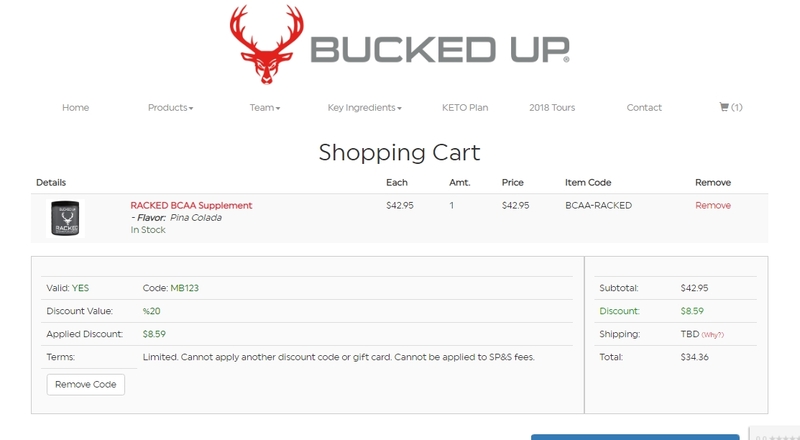 Morelba Araujo Tested this promo code and verified that it works as described. Just apply promo code to get discount of 20%.